Free BCBG Handbag -- Every. Single. Day. It's rainin' handbags! Hallelujah, it's rainin' handbags! IN THE BAG: Feeling lucky? BCBG is giving away a handbag a day through Aug. 20. 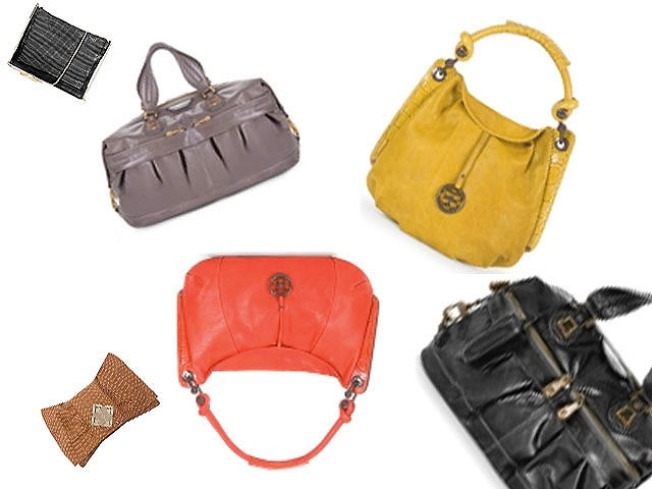 Selections come from their fall 2009 handbag collection. We could tell you why we love these bags -- unexpectedly cheerful colors for fall, bold hardware, buttery leather -- but seriously, do we need to convince you to enter this giveaway? Somehow, we doubt it. Although you won't get to choose exactly which bag becomes yours, it'll be from the new all line, with an estimated retail value of $298-$498. You can enter for a chance to win each and every day though Aug. 20 -- and if a shiny, new (and free) handbag shows up at your door in the not-too-distant future, don't say we never did anything for you, K? SAY RAWR: If it's white plastic and/or named after massive, muscular wild cats, you know another Apple product is about to fly off the shelves. Although Apple hasn't even announced the launch date of its latest operating system, OS 10.6 Snow Leopard, you can now preorder the software on Amazon for a mere $29.99. Shipping is free -- just remember to click the button for Free Super Saver Shipping. Your card won't be charged until the item ships, probably sometime next month, Amazon says. Considering Apple's new operating systems usually float in the $99-$129 range, we'd say this is definitely a deal to snap up, even if you'll have to wait. PRETTY PEDI: Scared about what's bubbling beneath the surface at your nail salon's footbaths? Tear open a packet of SaniManiPedi and dump the contents into the tub. The all-natural liquid product protects your toes from the creepy-gross gunk that could be lingering from previous customers. (OK, this is starting to sound like an infomercial. Sorry. We really are writing this with our own free will.) The blend of moisturizers, natural antiseptics and cleansing oils -- including jojoba, lavender and tea tree -- is biodegradable, so even the crankiest pedicurist shouldn't have issues with your bringing it to the spa. A five-pack is $12.95. Oh, and the even the packaging is eco-friendly. This is definitely -- wait for it -- a perfect 10.